Santa Monica Custom Alder | W.L. 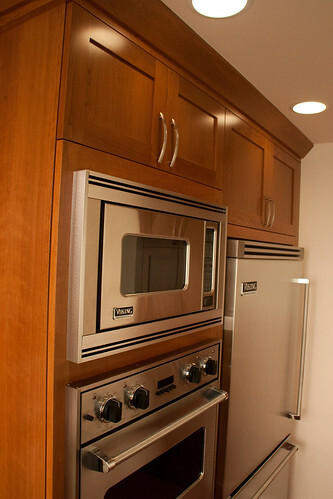 Rubottom Cabinets Co. 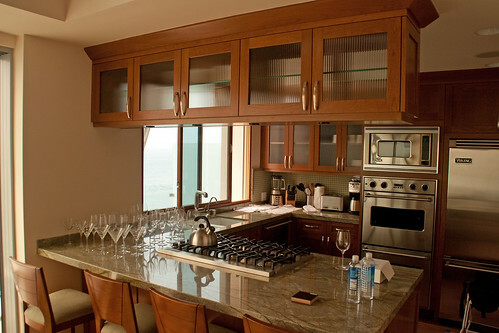 These cabinets are from a beach home along the PCH in Santa Monica, CA. 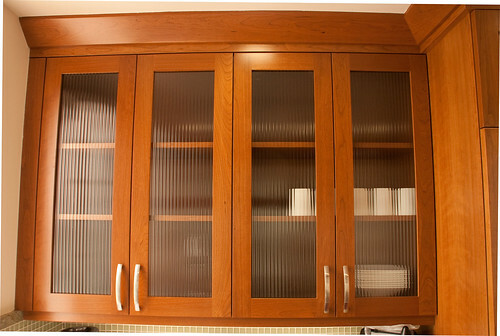 We describe these cabinets as alder cabinets with a Shaker door, but really there is much more to it. Your eye is drawn to the glass inserts in these cabinets for good reason, but pay attention as well to the perfectly scaled crown and the (difficult to photograph) rich tone of the Alder wood. The customers were moving in as I photographed, so you'll see the wine glasses that are destined for the buttressed cabinets. 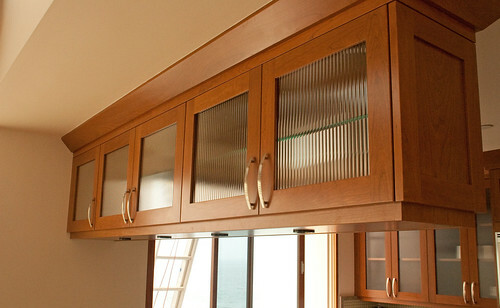 This inset pantry is a great way to do it. 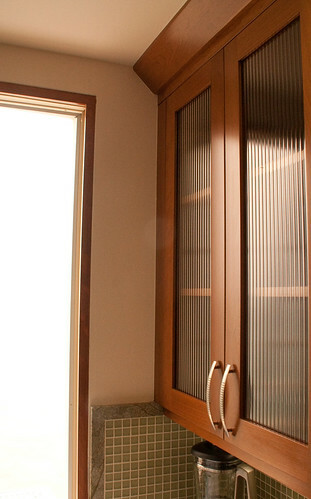 They built a niche for the pantry and we inserted a box and lapped the frame around the opening. Custom and space effecient. Ms. Susanka of the Not-so-big-house would love it.